PCD Pharma Franchise in Sikkim- Aden Healthcare a trusted name in Sikkim for best quality pharma medications. We are ISO certified and also awarded for the formulation of flawless quality medications at the most reasonable price range. Our company deals in a wide range of Pharma medications and healthcare products. After deepening our roots in the Chandigarh and north India, we are providing the best business opportunity of PCD Pharma Franchise in Sikkim. We, Aden Healthcare are first who see the curiosity and wellness in the people of Sikkim for the medical business sector. The people in the Sikkim and other states around the Sikkim are very well aware of the benefits of Pharma Franchise. Therefore they are seeking the best opportunity. So now their wait is over. Join with the leading pharma franchise company of India and complete your business goals through PCD Pharma Franchise in Sikkim. Our company is always open for the newcomers who are looking forward to stepping in the pharma franchise business and for experienced medical professionals, looking to expand their business at more heights in the field of pharma franchise in districts of Sikkim. So here is the pharma franchise opportunity now. Being a part of the leading pharma franchise company will always give you benefit only. So don’t wait long enough. Contact us through +91 9216325808 or drop us an email at adenhealthcare@gmail.com, Aden Healthcare is always here to provide you the best backup support for pharma business development. Gangtok: The capital of Sikkim. Here as per a survey found a higher prevalence of diabetes at 13.62 percent. The suspected prevalence of diabetes in urban slums was found to be as high as 11.77 percent in Gangtok only. Therefore only there is heavy demand for the diabetic medicine range in the and this can complete with the option of best pharma franchise. Mangan: Another beautiful district of Sikkim, here in Mangan it has been reported to have the highest percentage of Diabetes Mellitus and Hypertension as per the other districts of India. Sikkim to have the highest percentage of Diabetes Mellitus (DM) (13.67%) and Hypertension (18.16%) in the country. Namchi and Geyzing: As per a survey over these districts of Sikkim, it is found that in Sikkim the heart attacks are one of the most common diseases, and most of the population suffering from the heart disease are from these two particular districts of Sikkim. Therefore there is a heavy need for medication in the Sikkim and there is a great scope of PCD Franchise in all the districts of Sikkim. We embrace the best packaging techniques. Installation of latest and high-tech machines. All drugs are approved by officials, such as DCGI. The materials and ingredients come from trusted suppliers. We follow the guidelines of the Indian Medical Association during the processing of each unit. The R&D team of experts is here to look after the development, quality control, and evaluation needs. The GMP-WHO units are owned by the company in order to provide our drug formulations with the best production facilities. We, Aden Healthcare invites people from across the North-East to join our Best PCD Pharma Franchise in Sikkim. 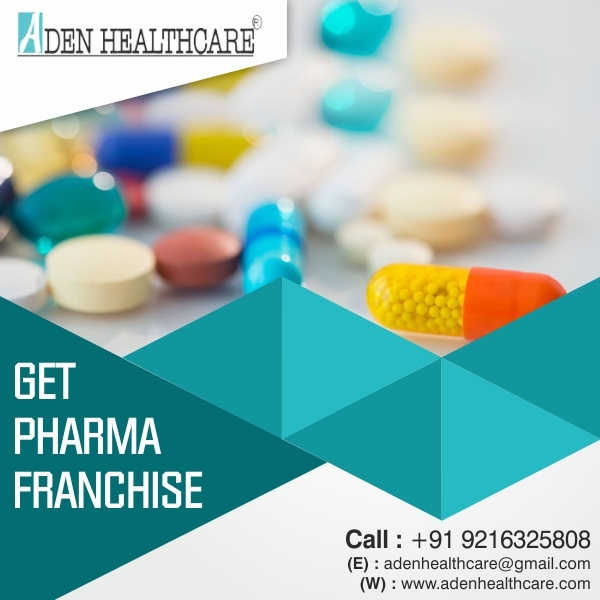 Joining with Aden Healthcare for Pharma franchise business will always prove best for you. Our company provides the most economical range of medication in every state of India like Sikkim. There is a high demand for healthcare and medical services. The pharmaceutical industry is set up on a large scale and is a good place to start a business. We offer franchise across Sikkim ‘s entire division, such as East Sikkim, North Sikkim, South Sikkim, and West Sikkim. We cover all the districts of Sikkim. When a new company takes place in the market then lots of existed companies got affected by it. They make their best efforts to let that company establish their roots as it impacts their sales and brand awareness. In such a case, Monopoly Rights comes as the helping hand for pharma franchise in districts of Sikkim. It let you secure place even amongst the potential competitors who create thousands of barrier in your way of success. It let you freely sales your product and service without having fear of competitors. With the help of monopoly rights, you can get the customers attention. We try to do our best and service is a sign of efficiency because our people are dedicated. Our company is spirited and focused on the development of the medical and pharma franchise in districts of Sikkim. Our experts are well-qualified professionals who possess worldly experience in this field. We are committed to customer satisfaction. We are loyal and ethical to all our clients, partners and consumers. There is a great scope of pharma franchise business in the Sikkim. People are now more aware of the franchise business.